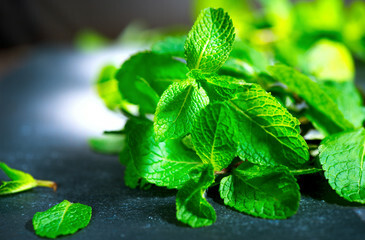 Home » Popular Nigerian Herbs And Their Health Benefits. Popular Nigerian Herbs And Their Health Benefits. Nigerian Herbs Medical Uses And Health Benefits. In this post, we are going to discuss popular Nigerian herbs, both Igbo herbal medicine, Hausa herbal medicine and Yoruba herbal medicine. Herbs are medicinal plants, whose roots, leaves, stem or seeds can be used for medicinal purposes. Although you might not know it, herbs have played an important role in our overall health and well-being. In the ancient times, herbs were used for a lot of medicinal purposes, and by people of different cultures. 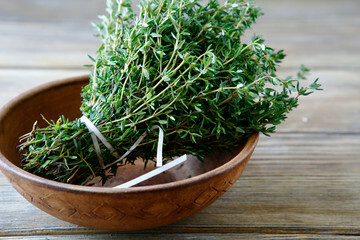 Despite the fact that modern medicine is now popular today, herbs are still beneficial to you. Many developing countries effectively use herbs to keep themselves healthy. It’s very important that you know these things. That’s why today, you will be learning about some of the local Nigerian herbs and their health benefits. These herbs are also found in many places around the world and can still be used the same way. But before that, let me briefly explain why medicinal herbs are important and should mean a great deal to you. • A lot of herbal extracts like those derived from mint , fenugreek , ginkgo, and aloe vera are used in manufacturing medicines. • They are useful in cases of emergencies and alternative medicine. • Herbs offer a cheaper alternative than modern medicine and medications. • They can also be used for culinary purposes, which is great because you can eat delicious food and get healthy. • And above all, they provide a host of nutritional and health benefits, treat diseases and so much more. Local Nigerian herbs and their health benefits. Mitracarpusscaber is a very common weed of cultivated or fallowed land. It is a perennial herb of 30 cm tall (the botanical name is Mitracarpusscaberulus). It has different names according to the different tribes in Nigeria. It is called Ogwungwo or Obuobwa in Igbo language, Gududal in Hausa language and Irawo lle in Yoruba language. • It is scientifically known that this plant has a lot of antibacterial and antifungal properties. • It is used to treat skin infections such as infected wounds, dermatoses, ringworms and scabies. • It is popular in traditional medicine practices in West Africa for the treatment of headaches, toothaches, amenorrhoea, hepatic diseases and venereal diseases. Aloe Vera is a very popular herb and a common medicinal plant in Nigeria. It is widely known to have wonderful health benefits and medicinal uses. It is a common plant that doesn’t have a stem, and is usually about 80-100 cm tall. • Aloe Vera contains substances that inhibit inflammation. • It is very effective in healing wounds and burns. • It helps in digestion and helps to rid the body of intestinal worms. • It is very good for your skin. And is commonly used in the production of many skincare products. • It helps in detoxifying the body. Ringworm plant, scientifically known as Senna alata, or cassia alata is an important medicinal tree, as well as an ornamental flowering plant. It is commonly known as candle bush, candelabra bush, or Christmas candles. The plant is about 3–4 m tall, with leaves 50–70 cm long, and is called AsunrunOyinbo in Yoruba and Ogaluin Ibo. • It has anti-fungal properties and is used to treat a number of skin infections, including ringworms as you would guess. • It is used in treatment of haemorrhoids, constipation, and inguinal hernia. • It is also used in treating intestinal parasites, convulsions and syphilis. Dracaena arboreais a specie of Dracaena, commonly known as dragon tree. It is an elegant ornamental tree that grows up to 20m tall with deep green thick leaves. And is locally known as peregun in yoruba, and odo in Igbo. It is found in semi arid deserts and are tropical perennials. • Dracaena arborea is medically known to be useful in the treatment of diabetes-induced testicular dysfunction. • The roots of this plant is used in treating abdominal pains. The botanical name of cashew nut tree is Anacardiumoccidentale. It is a tropical tree of 12 m high that produces cashew seed and cashew apple. The cashew seeds are used in snacking. Fact: Nigeria was the second largest producer of cashew nuts in 2013. The bark, seeds and twigs are used for medicinal purposes. • The twigs of the tree is used as chewing stick that helps with mouth thrush, sore gums and toothache. • The extract from the bark is an efficient natural remedy for malaria fever. • The bark of the cashew plant is an effective contraceptive. This has been used as a concoction to prevent pregnancy. • An infusion can be made from the leaves and used to cure nasal congestion. The scientific name is AistoniabooneiDe Wild. It is also called cheese wood or pattern wood. In Nigeria, however, it is locally called ahun in Yoruba and egbuora in Igbo. This is another popular medicinal plant in Nigeria. It is a tall forest tree, that grows up to 45 metres tall. The leaves are borne in whorls at the nodes, the leaf shape is oblanceolate. The bark is grayish-green or grey and rough. • It is widely used as a febrifuge, for fever. • It contains an important alkaloid chemical called echitamine, that has a lot of pharmacological uses. • The bark, leaves and roots are all used to relieve rheumatic pain. • The leaves, when pulped to a mash, are applied topically to reduce oedemas. Let’s all make use of herbs and keep improving our health. Thanks for reading. You can now advertise, write sponsored posts and showcase your products on our blog. Visit the advertising page for more information. Will do that, thanks for the advice. I will do an article about that soon, stay tuned to my blog. Thanks. I'll update the article and add information on the aforementioned leaves or even write a new article. I have a deep love for Nigeria as a country and her people, so getting a little insight into the herbs that get used there was so interesting to read Collins, thank you very much.